Game warden officer candidates in the state of Idaho face an extremely competitive hiring process at the state level with the Idaho Department of Fish and Game and the federal level with the U.S. Fish and Wildlife Service. To meet job expectations, applicants are encouraged to demonstrate some knowledge of issues related to fish and wildlife conservation in the state. Typically, a game warden's responsibilities will include patrolling their jurisdiction for poachers and other violators, while also monitoring fish and wildlife habitats for potential problems, and conducting search and rescue operations as needed. Those willing to compete for game warden jobs in Idaho should expect to be placed in a pool of qualified applicants while openings become available. Read on to discover how you can best prepare yourself for the game warden application process in Idaho. Idaho’s rugged terrain and outdoor habitats have long seen the need for regulation to preserve their usefulness and beauty. The state is proud of its progressive history of conservation enforcement under the watchful eye of Conservation Officers, formerly known as game wardens. Since 1978, each Conservation Officer has been required to become a certified Peace Officer, which requires post-secondary education, motivation, a refined sense of justice and ethics, and a love for the outdoors. There are opportunities for qualified candidates to have a successful and satisfying career even in a competitive job market. While their foremost commitment is to managing and enforcing fish and game regulations, as Peace Officers, they may be called upon to enforce any Idaho-state law. Officers also promote and coordinate classes on firearm, hunting and boating safety, as well as collect data on fish and wildlife populations and their habitats. This diverse set of duties means only the most qualified candidates are considered. Listed below are the minimum qualifications needed to apply to become a Conservation Officer in the state of Idaho. 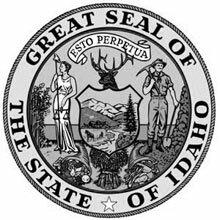 Additional information as well as job postings are available through the Idaho Department of Fish and Game website. License: A valid Idaho-issued driver’s license is required. Vision: The preferred applicant will have good vision in both eyes and may use corrective lenses. Demonstrate effective use of English the various aspects of business English, including reading, report creation, listening and oral communication. According to the Idaho Department of Labor, as of 2015 the state’s game wardens earned $47,260 ($22.72 an hour) on average, while those in the top 10% averaged $54,020 ($25.97 an hour).